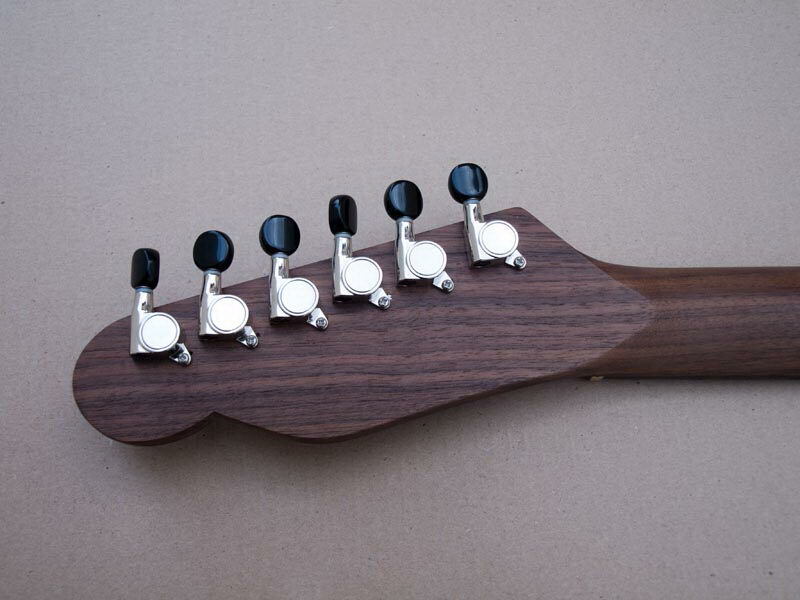 After several electric efforts, it’s time for an acoustic. 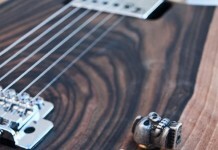 We entered strange paths and the mind began to move differently. 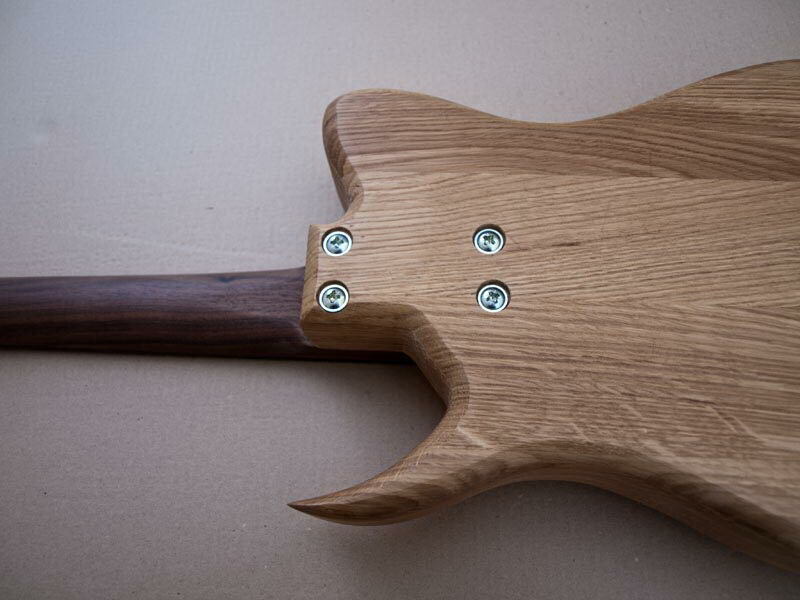 Designs came, ideas were hatched and the first example is here. 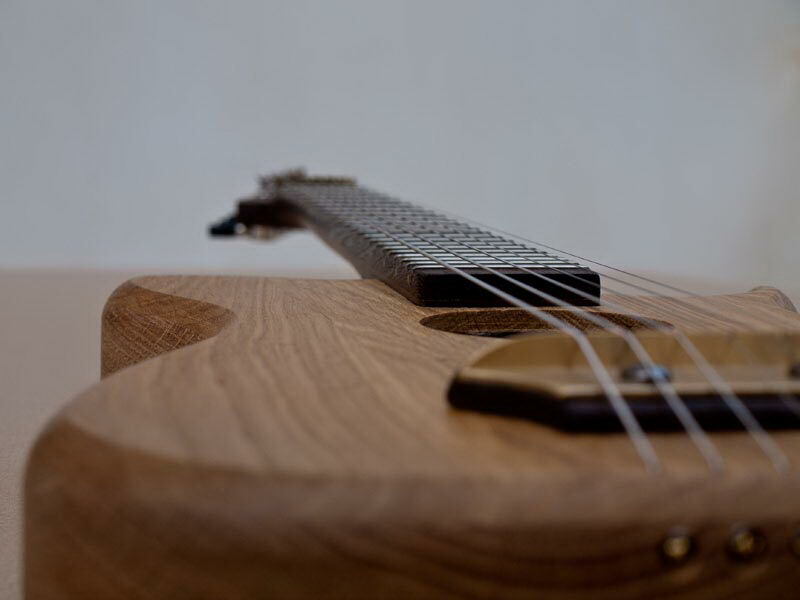 We started our first fully acoustic instrument with an oak body, which received only oil so that the wood could breathe but also to highlight the lines of the wood, preserving it’s natural chromatography. 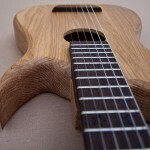 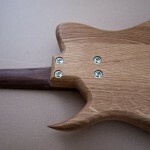 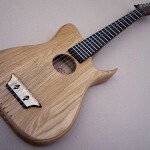 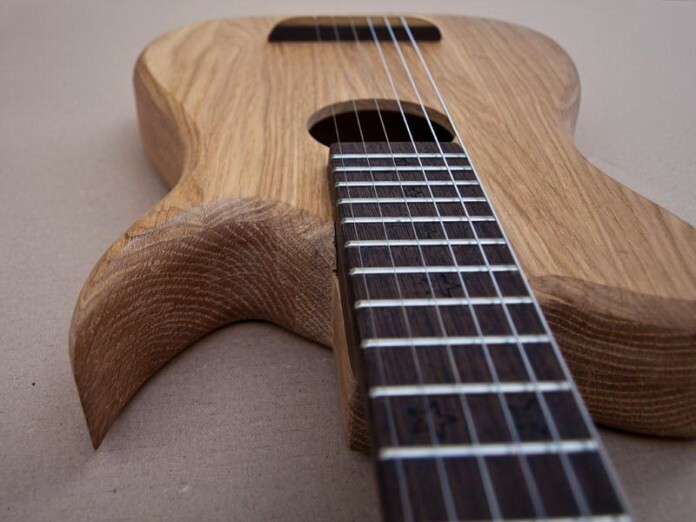 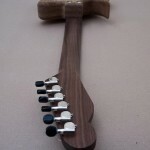 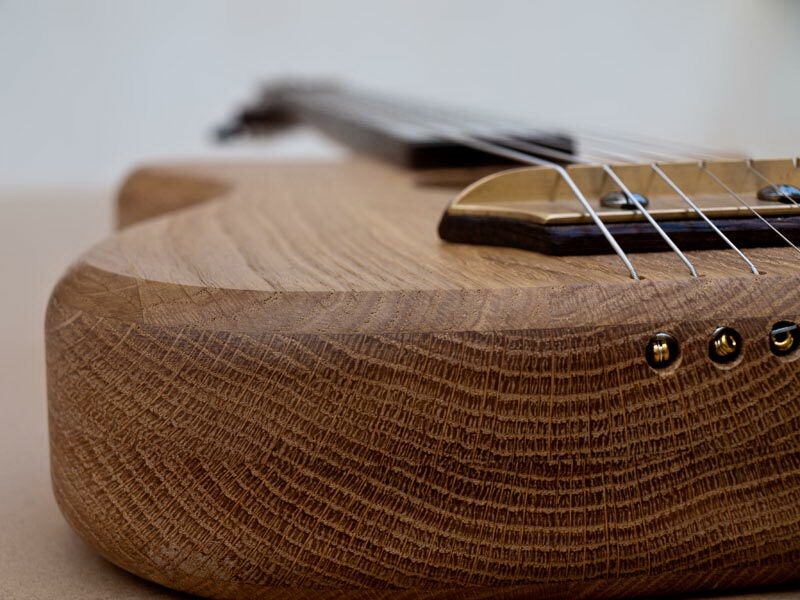 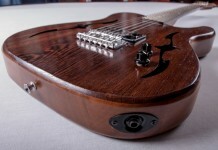 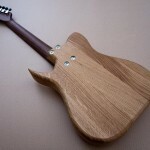 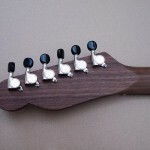 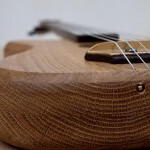 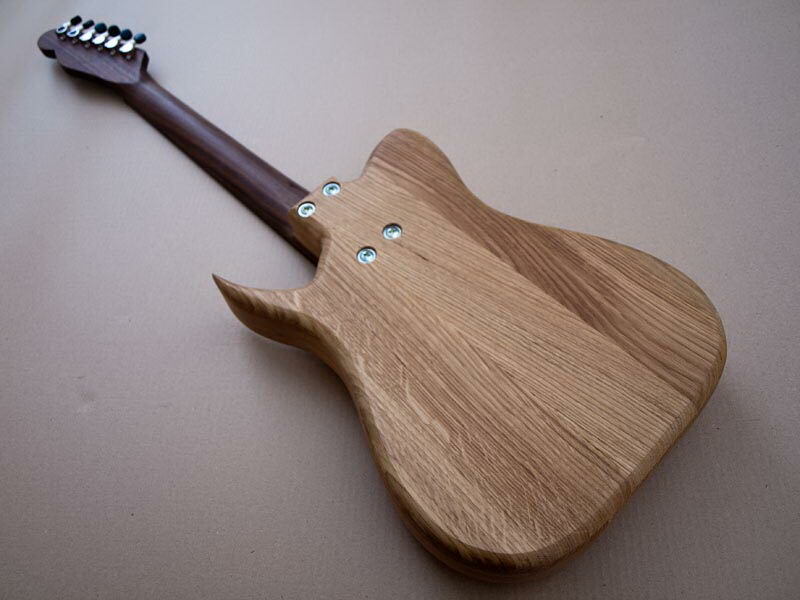 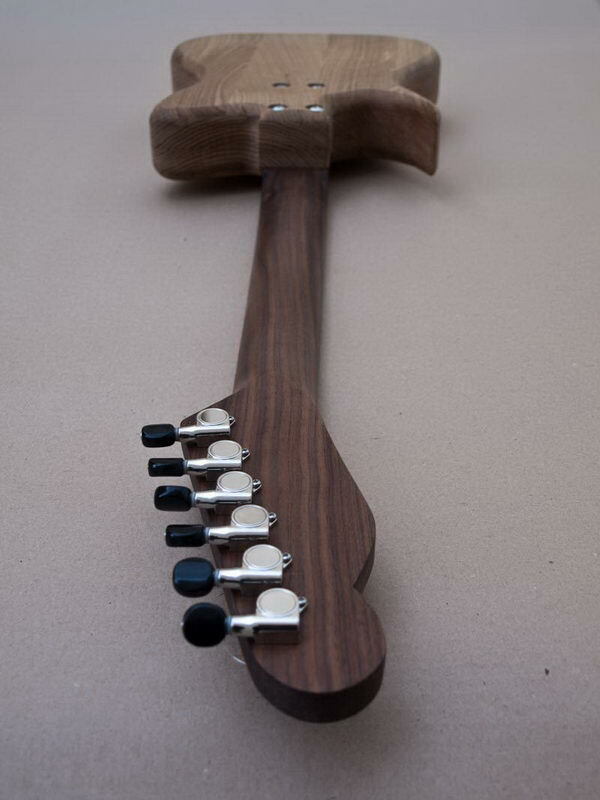 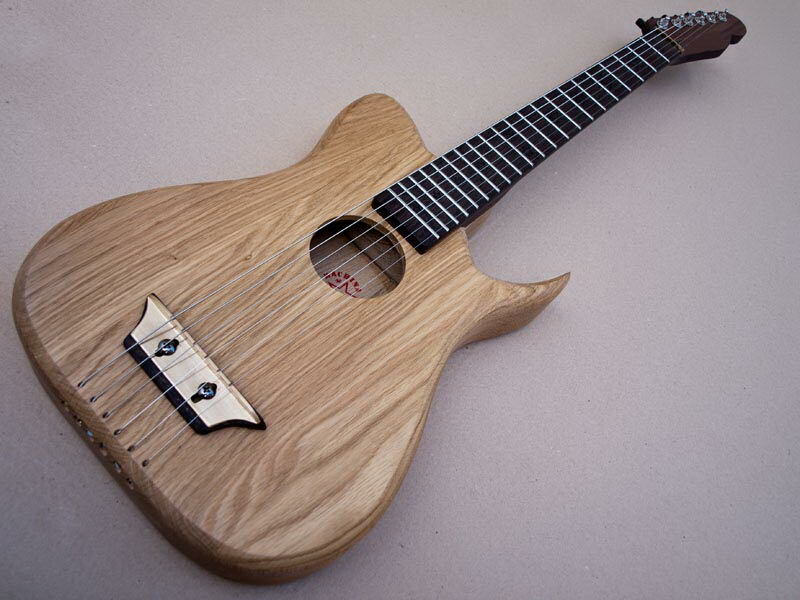 The neck is made of walnut with a wenge fretboard with frets of nickel and zinc. 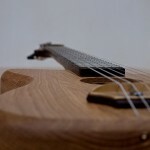 The bridge has a walnut base and a brass surface for supporting the strings with the possibility of tuning lengthwise. The original shape with its deep curves leads to a sharp blade which is how the instrument sounds. 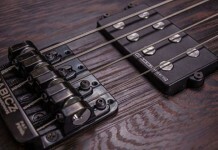 With its deep bass and sharp treble, we enjoy playing the blues.